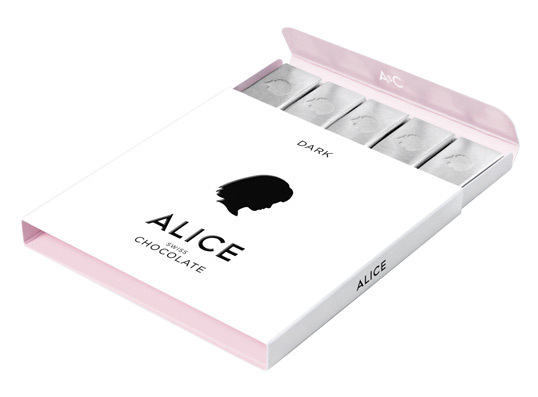 “From the matchbox-like packaging to the slender bars of dark chocolate contained within, Alice Chocolate is an exquisite treat through and through. The brainchild of brand consultants Michael Felber and Steven Mark Klein, the pair are working to restore the tradition of Swiss chocolate by making their chocolate at a factory in Bern, Switzerland that has been around since 1919. Sourcing the chocolate (fairly and sustainably of course) from the Amazon, brings the tradition into the 21st century. Adding only sugar to the handpicked beans, Alice chocolates are exceedingly pure, free of stabilizers and additives and at 68% cacao content, the little wands are a pleasing not-too-bitter-nor-too-sweet blend . Beautiful wine label design with great care to the finer details. Interesting and unique package design for T-shirts. 100% Chocolate Cafe, located in Kyobashi is a cafe dedicated to chocolate. Chocolate is used in all of the food and drinks in the menu. They offer 56 different types of solid, square chocolate. Numbers 1-22 are single-bean chocolate. Each chocolate is made of cacao from one country. Numbers 23 & 24 are bitter chocolate with small pieces of cacao beans. Numbers 24 to 28 are variations of sweetener – one uses brown sugar, another one uses honey, etc. Numbers 26 to 36 are the variations of milk. Numbers 37 to 51 are the variations of flavors including fruits and herbs, and Numbers 52 to 54 are the healthy choices. 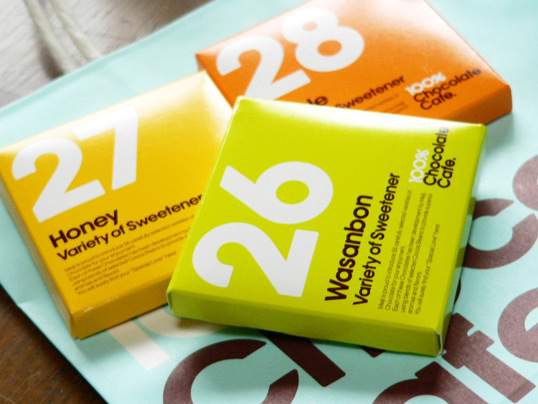 Numbers 55 and 56 are the early blends of Japan’s longseller chocolate. 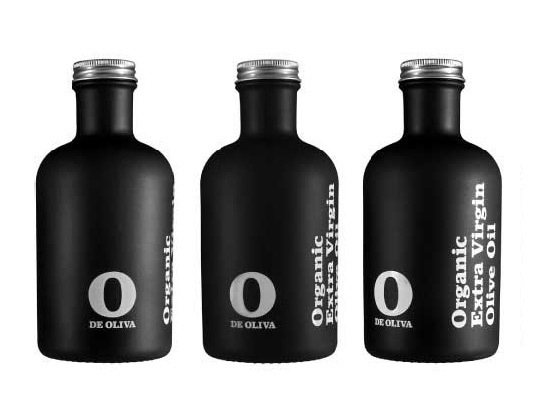 Beautiful simple design for O DE OLIVA olive oil. 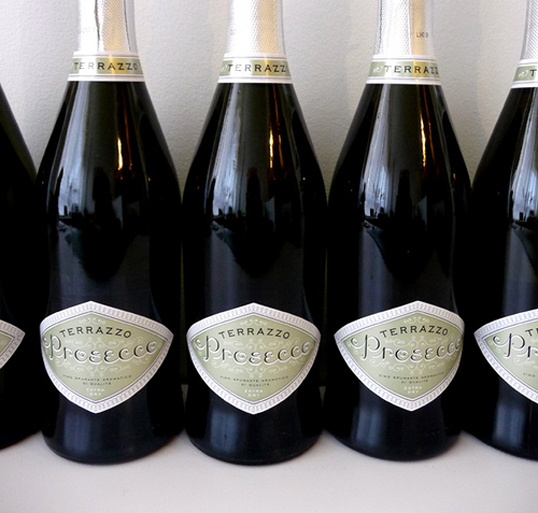 The contemporary design of the bottles creates a feeling of quality and craftsmanship. “Aimed at the European market and targeting a consumer concerned with the manufacturing process and the quality of oil. This oil will be included in the range of products bearing an environmental certificate, and will accurately reflect how beneficial it is to our health. By choosing a pack from the pharmaceutical industry, it is implied that the product is beneficial to our health. The opaque coloured bottle will preserve the quality of the oil. 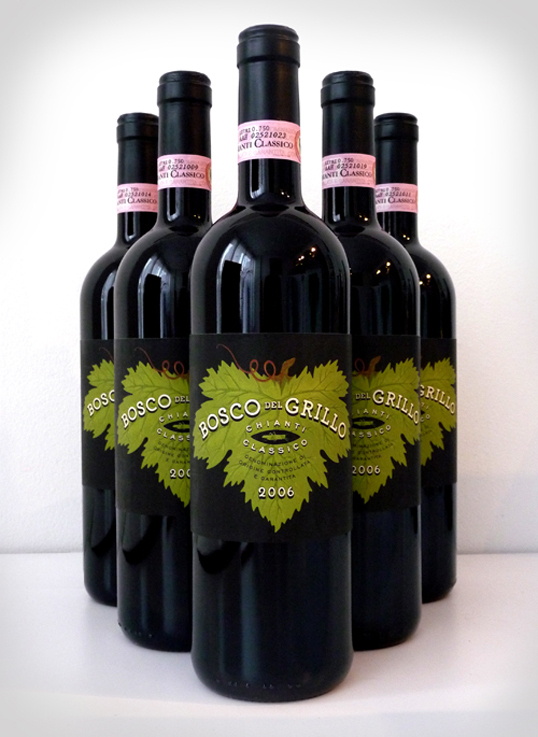 Bosco del Grillo is a very limited production Chianti Classico–fewer than 1000 cases were produced for this inaugural bottling. It is a blend of the finest Chianti Classico vinified by Geografico (80%) and a portion of the Merlot (20%) otherwise reserved for one of the winery’s two “super-Tuscan” reds. Distinctive lots of Sangiovese and Canaiolo grapes are the result of year-round collaboration between a small group of Geografico’s member growers, Geografico’s staff vineyard manager, and Lorenzo Landi, Geografico’s consulting enologist. 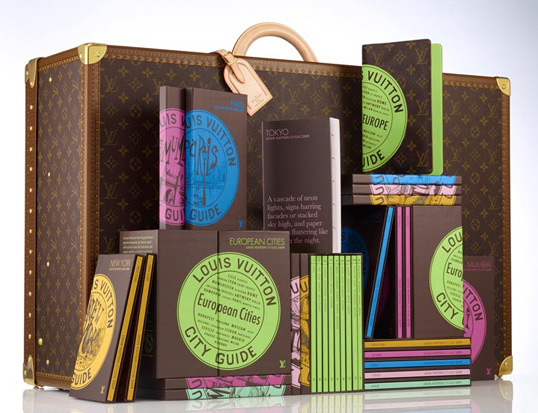 The redesigned City Guide boxes reference the heritage of Louis Vuitton, drawing inspiration from a vintage luggage label of the kind hotel bellboys would affix to travellers’ trunks. While deep brown makes an appearance, adding its distinct character to the collection, the guide still features the bright colours that have become its trademark over the past ten years. Pistachio Green for the European cities, Royal Blue for Paris, Rosewood for Tokyo, Magenta for Mumbai, Buttercup for New York and Almond Green for Miami. 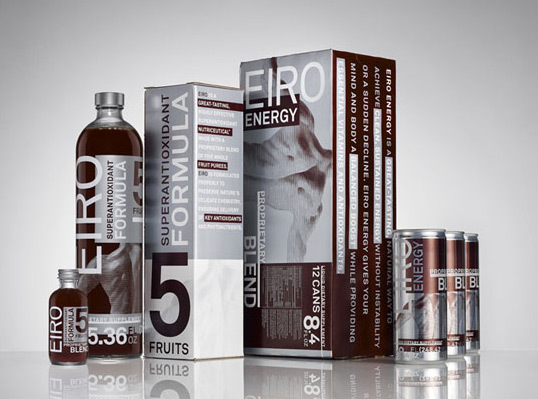 “DJ Stout and associate Julie Savasky have designed identity, packaging and collateral materials for Eiro, a new line of health and energy drinks. The beverages are created from exotic fruit purées from South America and are rich in beneficial antioxidants and phytonutrients. 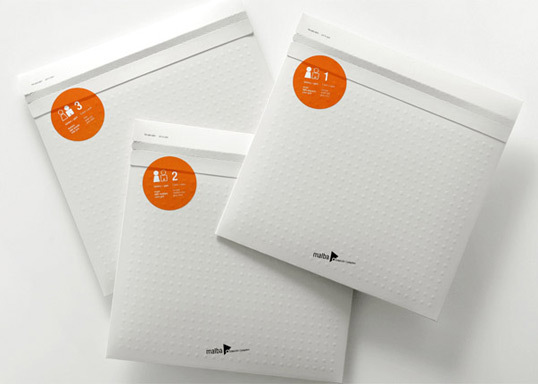 (Check out these promotional videos about Eiro here and here.) 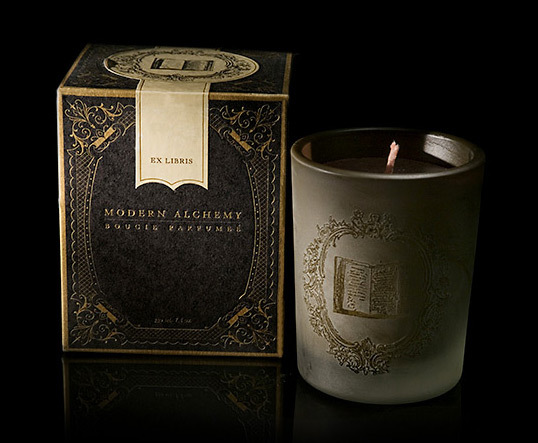 The line was unveiled at a splashy launch event in Dallas last month and will be sold online through direct marketing and network sales. “Introducing an ancient South American brew to coffee-addicted North Americans comes with its challenges. 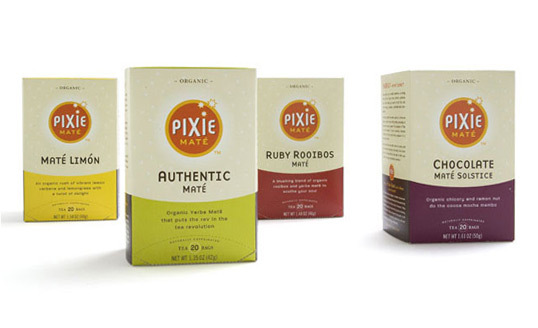 But a pair of Boulder-based entrepreneurs knew they were on to something big when they discovered the magic of maté, and they wanted others to experience it too. To do it right, they knew they needed a brand strategy that captured people’s imagination and sparked interest in this healthy alternative beverage.